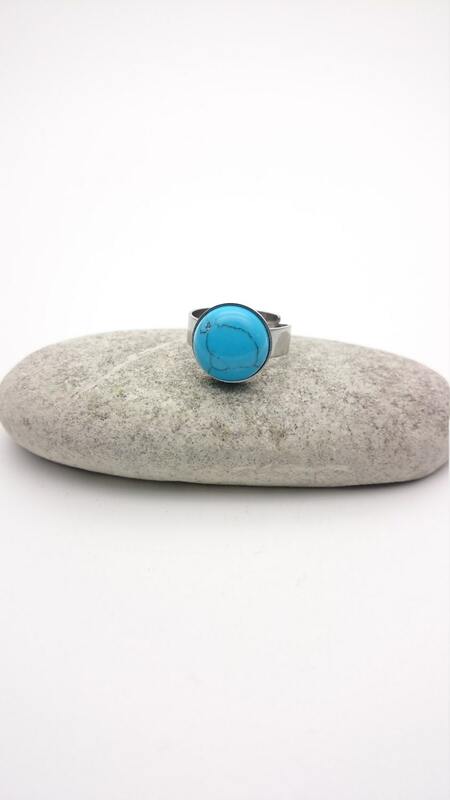 Turquoise silver adjustable hypoallergenic ring//Turquoise stainless steel ring//Round turquoise cabochon 12 mm surgical steel ring. 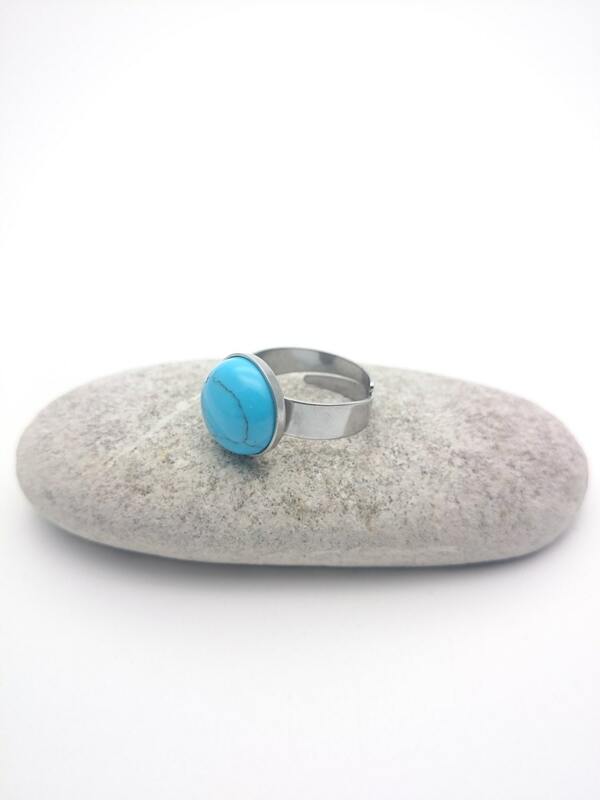 Turquoise and silver stainless steel ring. 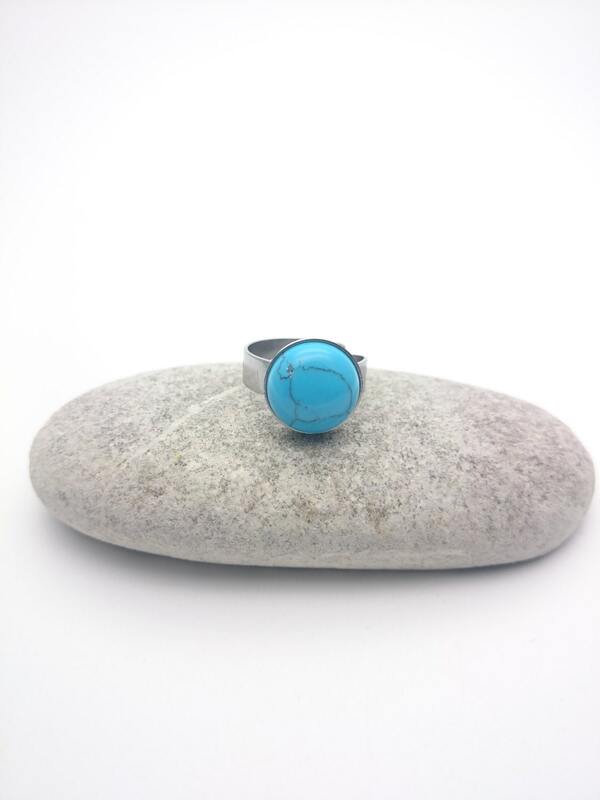 Turquoise semi-precious gemstone cabochon 12 mm and silver stainless steel ring. 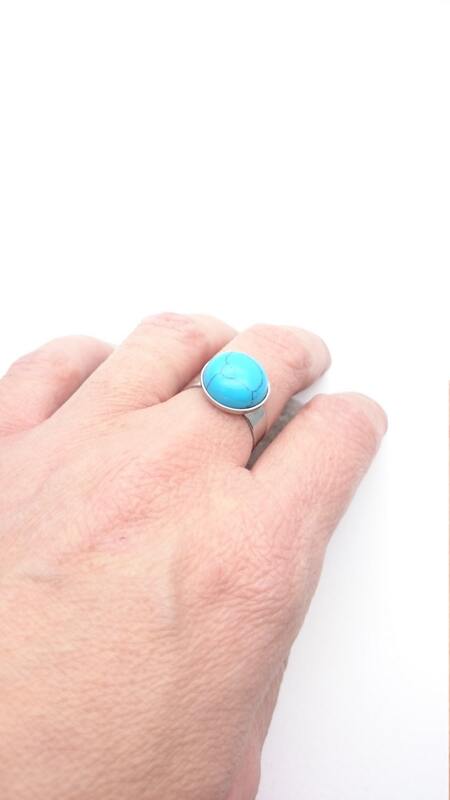 Turquoise cabochon size : 12 mm diameter. 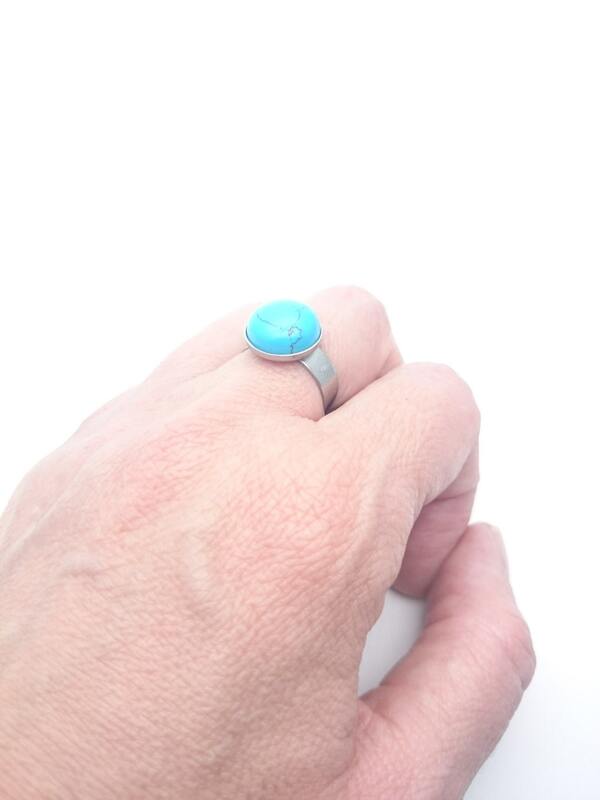 Turquoise is a natural stone and for those who believe in the power of gems, is one of the oldest protection amulets.